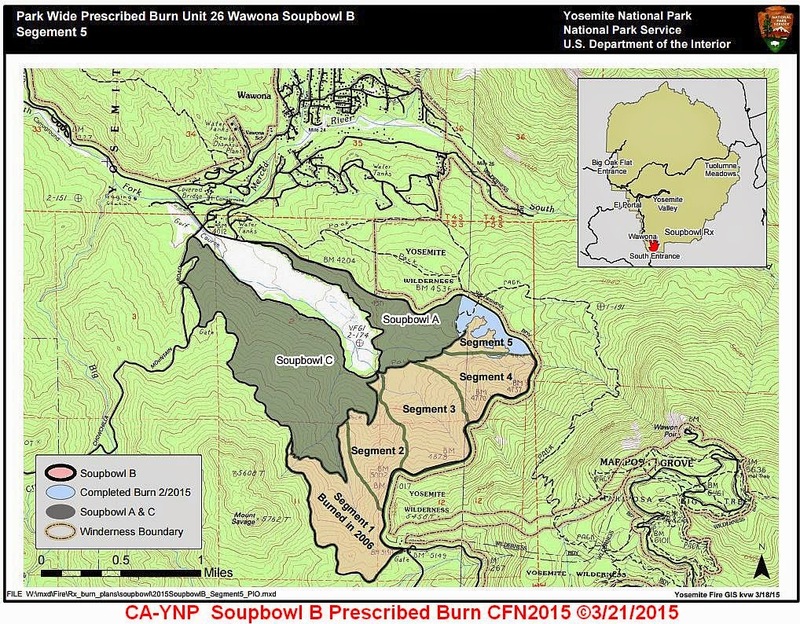 Yosemite National Park, Prescribed FireYosemite National park will continue the second phase of a prescribed fire in the Wawona area, near the South Entrance, Thursday, March 19. The prescribed fire will include 111 acres of a 533 acre project. The first 60 acres were burned at the end of February. During active burning, smoke may be present along the Wawona Road and in the community of Wawona. Vehicle One way traffic control will be implemented through the entirety of the burn, which is expected to be complete by Monday, March 23. Park employees and visitors are urged to drive slowly and with caution as there may be fire equipment and personnel on the roadways.